Prague, considered one of the most beautiful cities in the world, is a smorgasbord of style ranging from renaissance to gothic to baroque, contemporary and more. It’s easy to spend days just wandering the city, taking in the hundreds of churches with spires that pierce the skyline, the colorful buildings on quaint tree-lined streets, the parks set against historic and modern backdrops at the same time. There are plenty of things to do in Prague, that’s for sure. 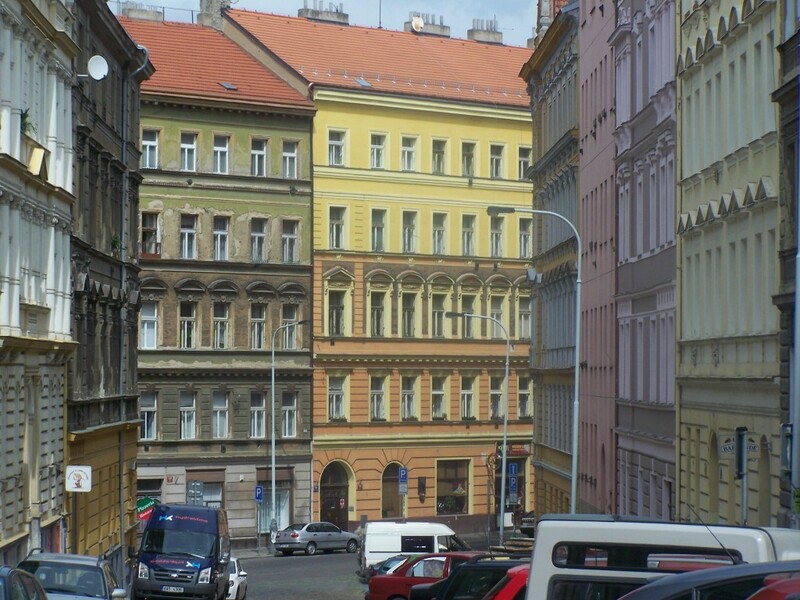 The colorful old buildings of Prague. As it has emerged as a hot spot on the tourist path, the city, which has always been seeped in culture, has taken on an identity as an art attraction. Museums throughout pay homage to a wide-range of works of art, including the Museum of Decorative Arts, The National Gallery, Old Town Hall and Prague Art Gallery, The Fine Arts Museum and more. But, for those on a budget, simply walking out the door of a hotel or hostel can result in an artistic experience in the pulsing capital of the Czech Republic. Street art and installments are stumbled upon while engrossed in an entirely different exploration in the whimsical Bohemian city. It’s these little gems that add a certain charm to a city that has already captured the world’s heart. 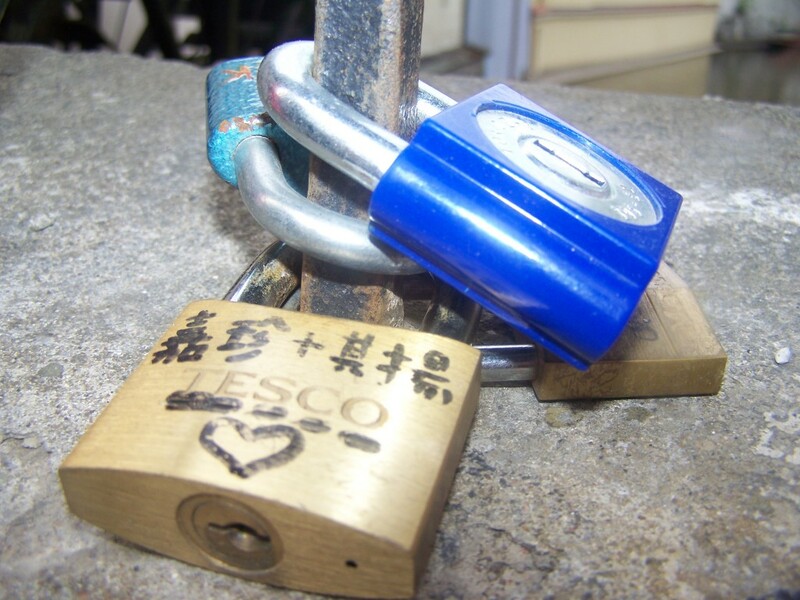 Couples in love make the pilgrimage to this bridge with padlock and sharpie in tow. 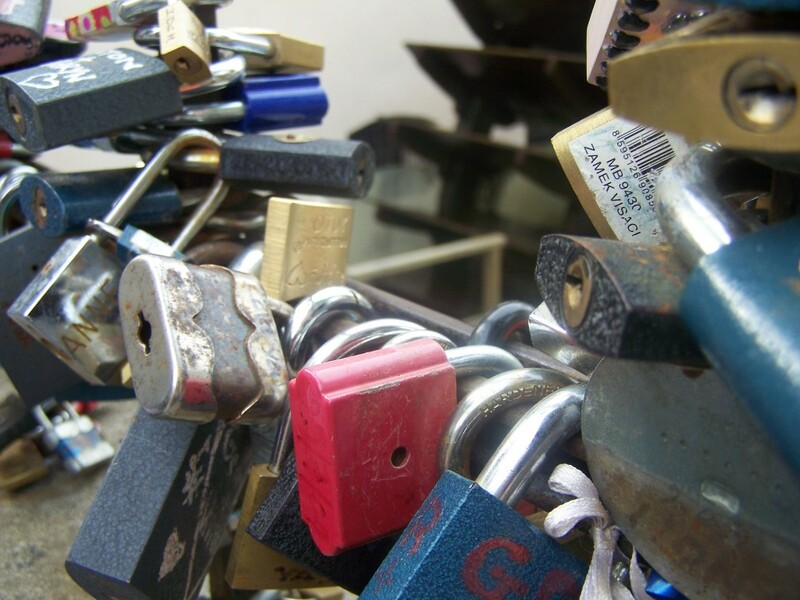 Believed to signify the eternal love of a couple, starry-eyed romantics affix their own padlock with their names inscribed on the metal up and down this pedestrian bridge that crosses over the Vlatva River. 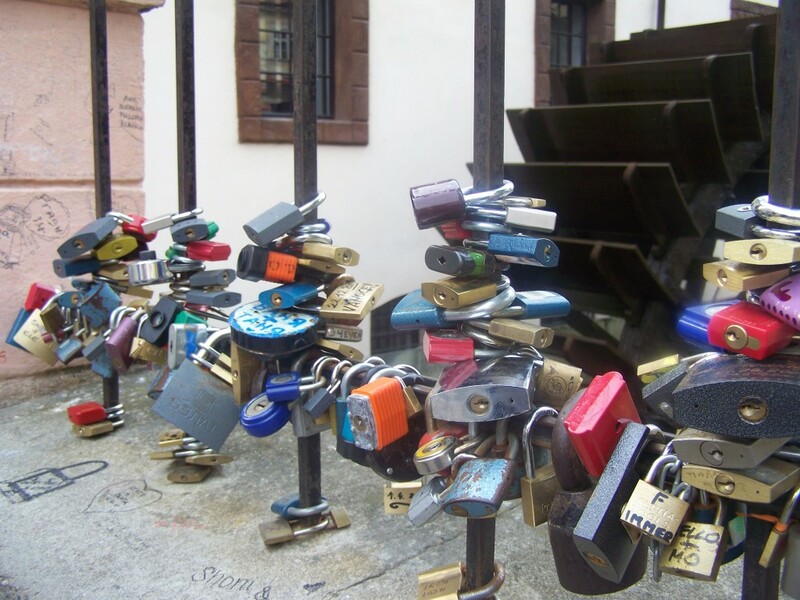 Supposedly, clicking the lock on to this bridge (and other similar Love Lock Bridges in Europe) means good luck in a relationship. With a view of the charming old neighborhoods, the bridge isn’t just an ode to romance, it’s romantic! 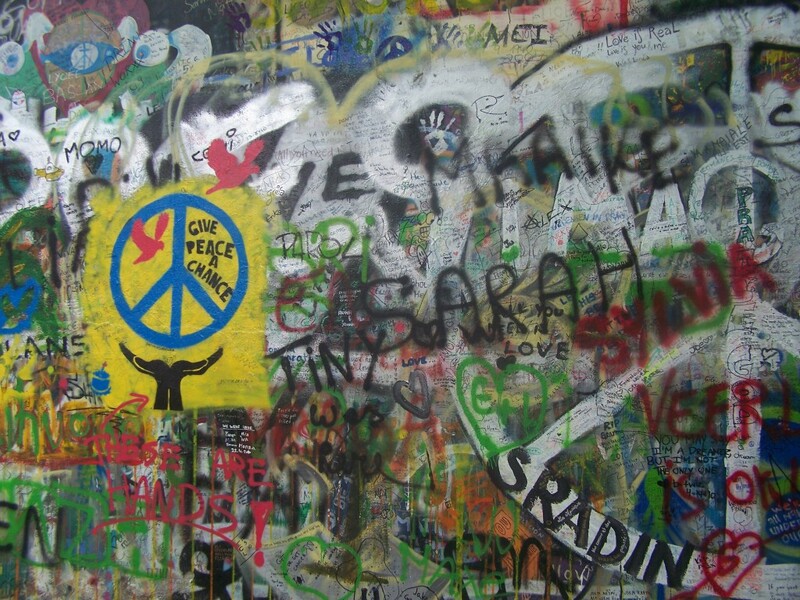 A quick walk from Love Lock Bridge is the John Lennon Wall, a colorful outcropping of graffiti on one long wall in Velkopřevorské náměstí (Grand Priory Square), Malá Strana. 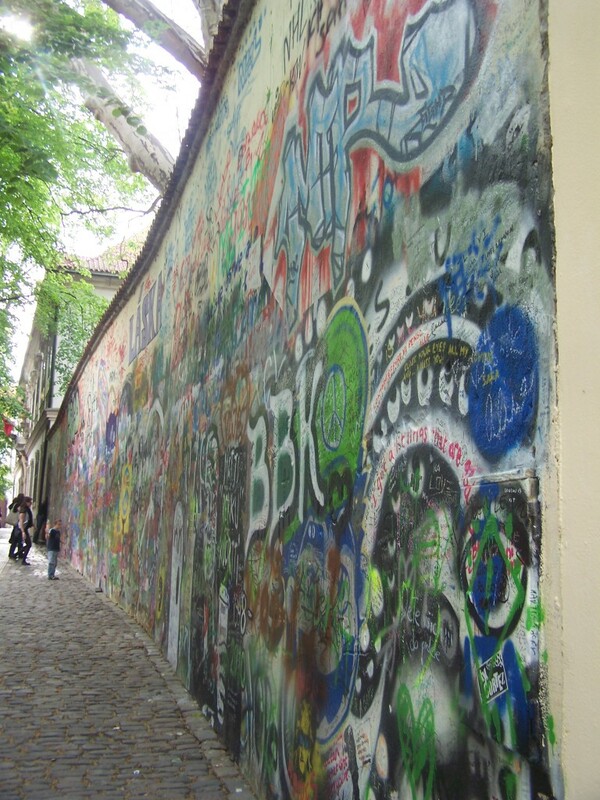 It used to be a normal wall, but then in the late 1980s, when the country was under the communist regime of Gustáv Husák, younger residents began to show their disapproval in the form of writing on this wall. 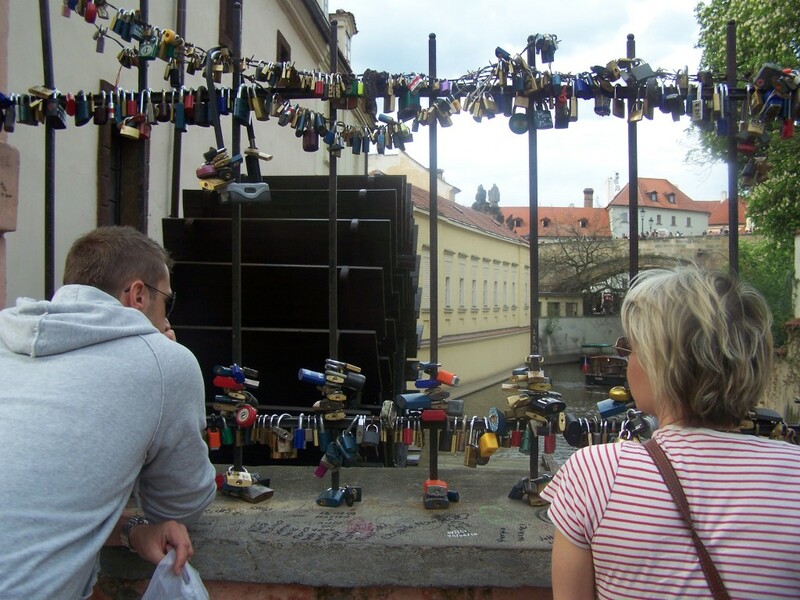 This led to fighting between students and police on the famed Charles Bridge. 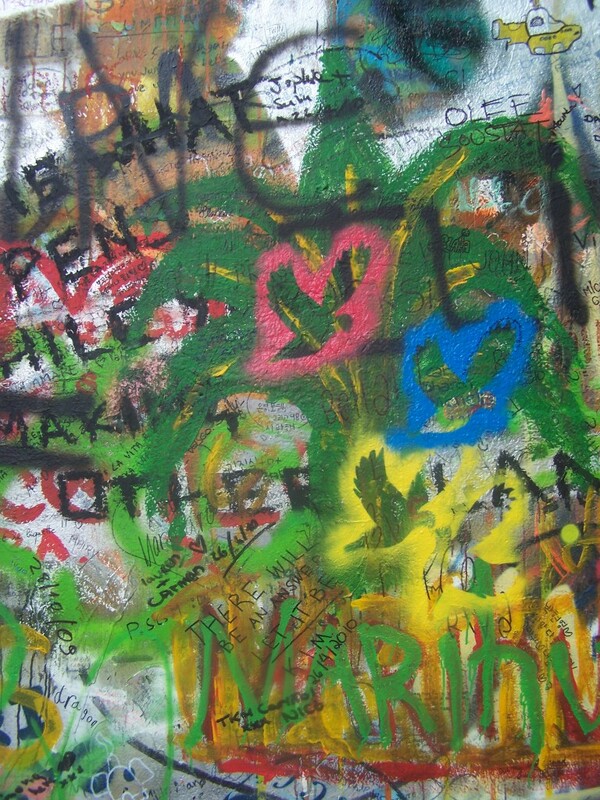 The students were described as following “Lennonism,” hence a large amount of graffiti dedicated to the namesake of the movement, John Lennon. You won’t see the same wall twice. 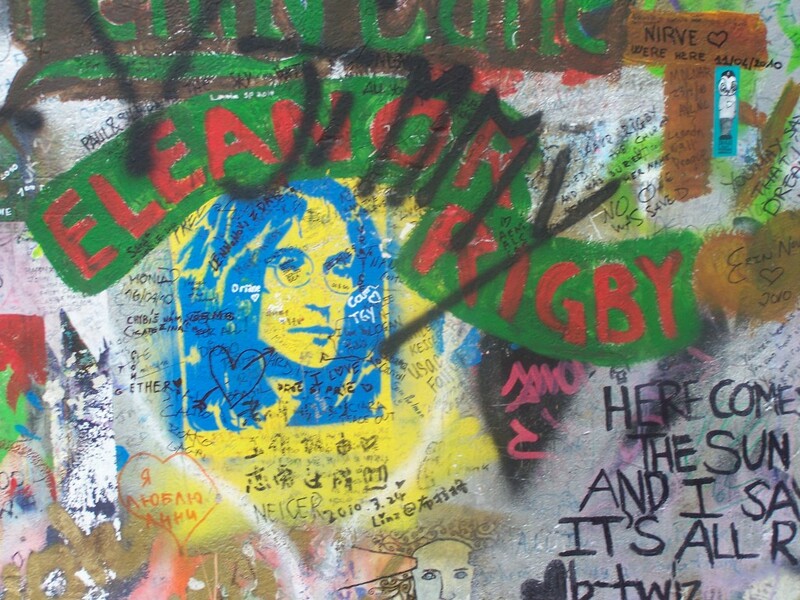 Visitors and locals regularly add their own piece of history to the wall, from Lennon quotes designed to inspire peace and love to their own portraits of Lennon to works of art and everything in between. 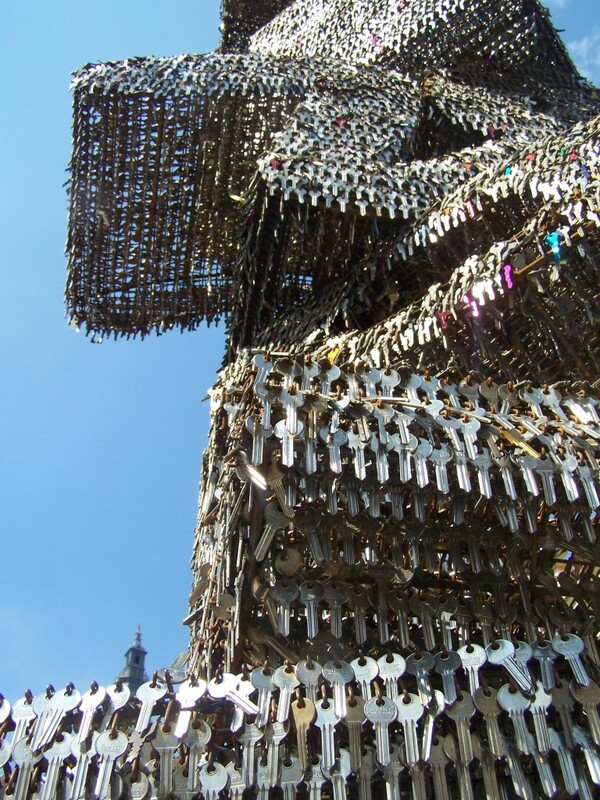 Unveiled in March 2010, the key sculpture was created by renowned Czech artist Jill David. 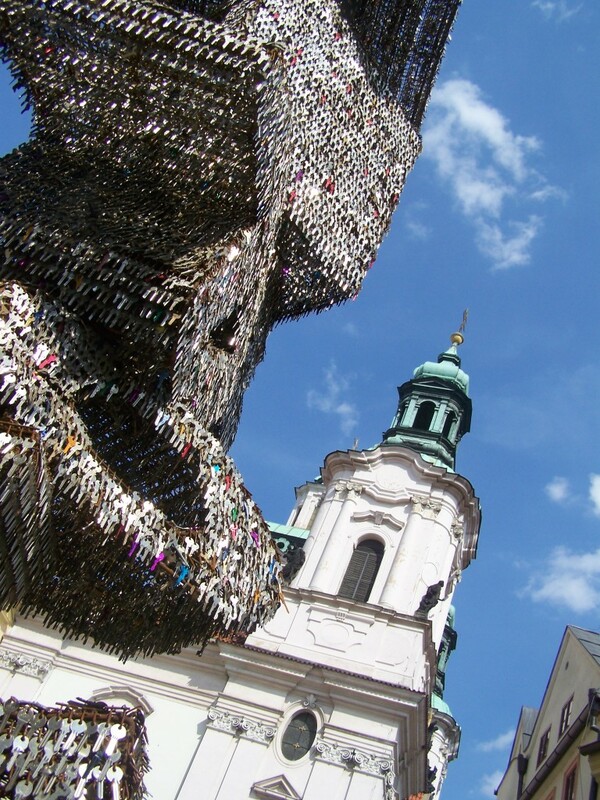 Standing at a towering 6 meters high in Franz Kafka Square, it spells out “Revoluce” (“Revolution” in English) with more than 85,000 keys. David’s work signifies the non-violent Velvet Revolution which used keys as its symbol. The revolution, which took place from November 17 to December 29, 1989, was a largely student-led protest against Communism. Have you been to any of these places? 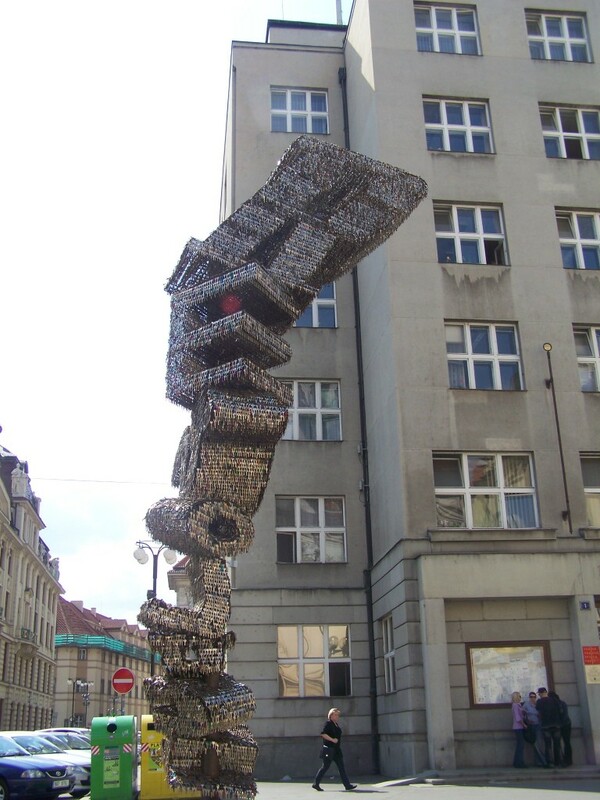 Are there other free art attractions you recommend for Prague? Leave your comments below! I love finding quirky things like these! The Key Sculpture is both interesting and poignant. Me too! I love finding little gems! That key sculpture is totally awesome. I bet it is even more impressive in person. It is really cool! I had no idea it even existed, just kind of stumbled upon it! 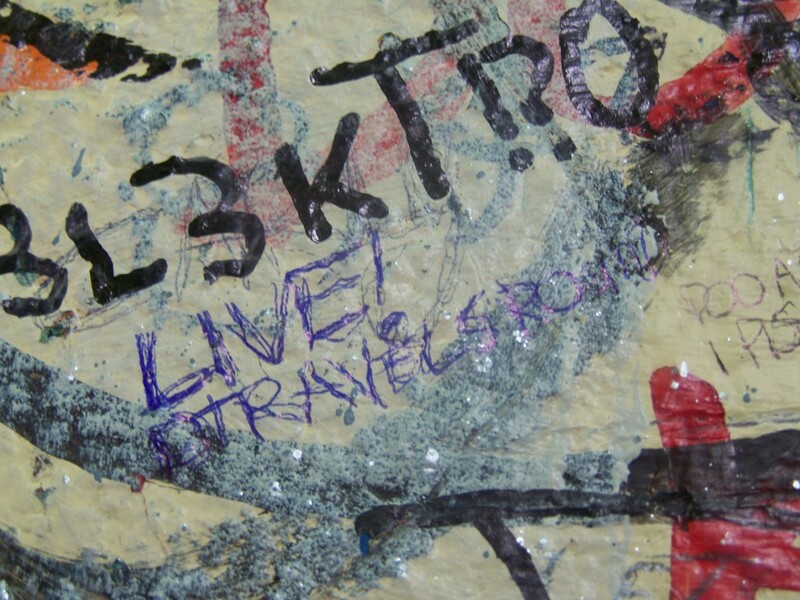 We have bee talking about Prague for several years…perhaps 2012 will be the one we make it happen! It is a great city! Try to head there in the off-season. The Peeing Sculpture near Kafka museum was amusing 🙂 there are 2 statues facing each other, with feet in a shallow pool in the shape of Czech Republic. You can even rotate the statues! Ha ha! That sounds awesome! 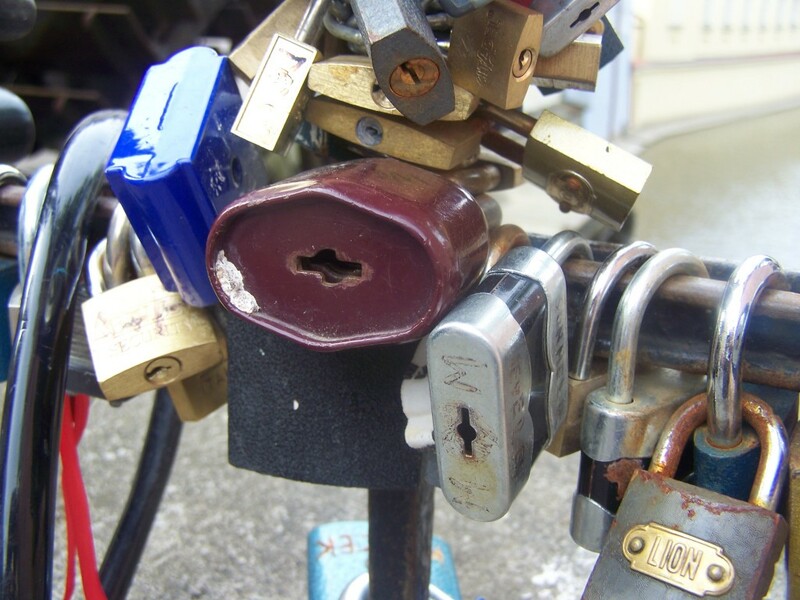 I’ve heard about the lock thing before, and it’s something I’ve always wanted to see. I didn’t know about the key thing, though. That’s also really spectacular. It was really cool to see it! I didn’t know any of these things existed as they weren’t in my guide book. I stumbled onto the Love Lock Bridge while en route to the John Lennon Wall. And the sculpture, have no idea how I came across that. It’s the reason I love my walk-abouts! They let me see things I would normally never find! You had me at “smorgasbord”. Fantastic photos – I especially like that key statue! I bet a lot of people are locked out because of that. Reminds me that I really need to go back to Prague. Had no idea they had so many kooky arty things. Hahaha. 🙂 Thank you!! 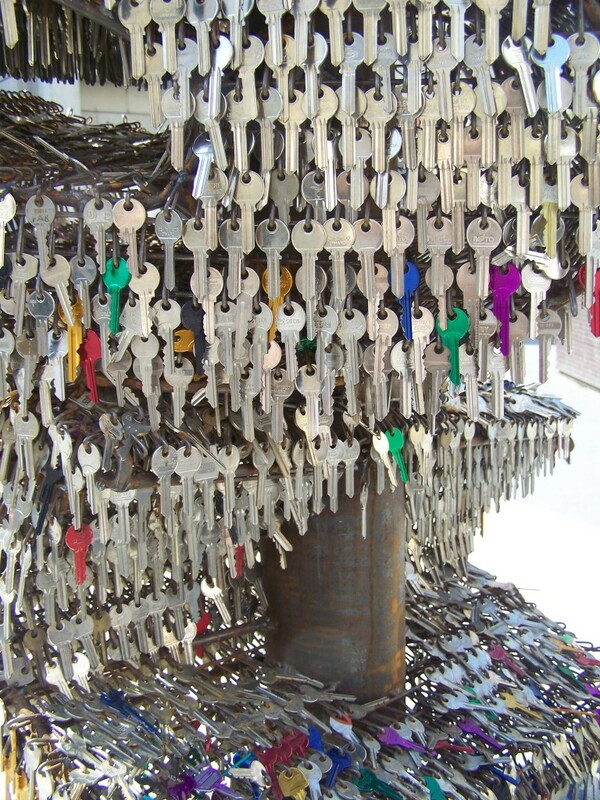 The key statue was one of those things I just stumbled on, but was really cool. Prague has a lot of cool art … definitely one of the most artistic cities I’ve visited in Europe.